If you are looking for a specific part for your Audi vehicle in St. John’s, Newfoundland, visit us today at Bill Matthews Audi. From engine parts and new batteries to genuine Audi parts, we have exactly what you are looking for in our vast inventory. If we do not have it in stock, we will order it and get it to you in no time. 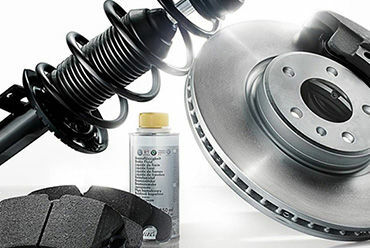 Regardless of your needs, we have a genuine Audi part waiting for you at Bill Matthews Audi. We only use genuine Audi parts in all of our repairs, so look no further for the part you need for your do-it-yourself projects. If we don't have it in stock, we can order it directly from Audi in Germany and contact you when it arrives. Only genuine Audi parts have been specifically designed for your Audi to preserve its performance, reliability, and safety. If you need to make a repair or replace a part on your vehicle, only trust Audi genuine parts. They are also protected by a generous manufacturer warranty, and we can install it on site if needed. To learn more about our Audi genuine parts, contact us today at Bill Matthews Audi!